NNIN is pleased to partner with and support many other national and regional activities in support of nanotechnology and STEM education. This include many NSECs (Nanoscale Science and Engineering Ceners), MRSECs (Materials Research Science and Engineering Centers), ERCs (Engineering Research Senters), and other federally funded research centers. Resources from many of these organizations are linked on the Off-site Resources page. In addition, NNIN supports and participates in programs with the following major national STEM organizations. 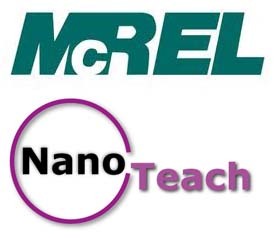 McREL, Mid-continent Research for Education and Learning, partners with NNIN for the development, implementation, and evaluation of a set of nanotechnology lessons, a program called NanoTeach. This work is funded by a separate NSF award. NNIN sites at Stanford and Georgia Tech contribute nanotechnology subject matter. Once the activities have been developed and tested, they will be available for download from this NNIN web site.